Smoking harms nearly every organ of the body and causes many diseases. The oral cavity is no exception. Not only does smoking cause aesthetic changes such as stained teeth but also affects the health of the mouth and gums, can cause tooth loss, as well as potentially life-threatening illnesses such as cancers of the throat, tongue, soft palate and tonsils. People who quit halve their risk of cancer of the mouth, throat and oesophagus within five years. 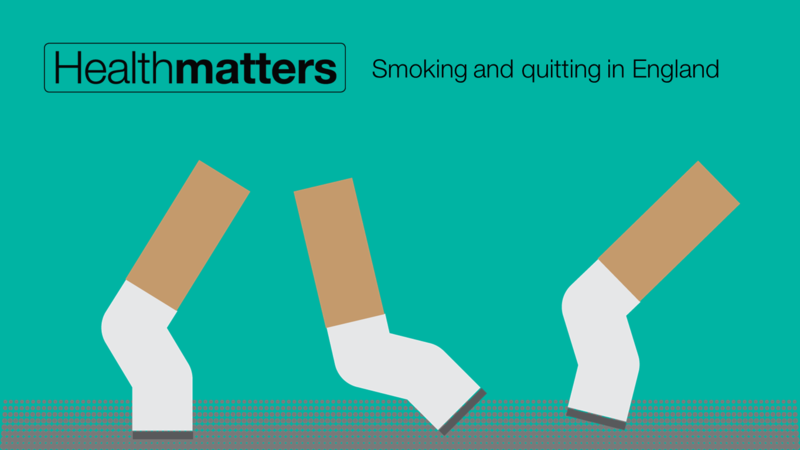 Quitting can improve smokers’ health generally. Dental teams are in an ideal position to provide help for smokers who want to quit smoking. First, they have extensive and regular contact with millions of people of all ages and in varying states of health. For example, over 80% of 12 and 15 year olds and 61% of adults who have teeth say they attended the dentist for a check-up on a regular basis. Second, there’s evidence that these contacts can be effective moments in which to promote smoking cessation. Research has shown that dental teams can help their patients to quit tobacco. Behavioural counselling, typically brief advice, has been shown to be effective. For example, adult smokers who received a combination of behavioural interventions together with an oral examination in dental practices more than double their chances of quitting when compared to smokers receiving no intervention. Using “very brief advice” (VBA), which is a simple form of advice designed to be used opportunistically in less than 30 seconds, is one way in which dental team members can raise the issue of smoking and tobacco use with their patients. It can be used in almost any consultation with a tobacco user, followed by signposting smokers to services to help them quit. So the evidence is there, that dental teams can help their patients to quit tobacco. But it’s not yet been widely enough implemented. The Adult Dental Health Survey found that only 9% of adults who had been to the dentist in the previous two years remembered being given advice or help to quit smoking. Dental teams historically have said that pressures of time and inadequate training were some of the barriers to discussing smoking with their patients. But we know from past studies that progress is being made. For example, John et al found that 27% of dentists always enquired about smoking status in 2001 compared to 17% in 1997. Public Health England – and those who commission and support dental services such as local authorities and NHS England – are focused on providing dentists with the support and tools they need to help smokers quit. Smokefree and Smiling is a tool that was developed to support dental teams, commissioners and educators to give VBA. It describes who can deliver VBA, what training they need, and how it can fit in with the dental teams’ existing consultations. 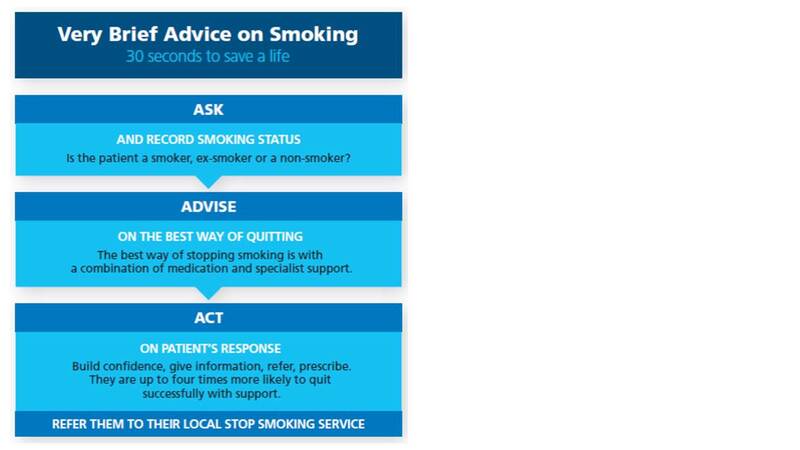 As smoking has such an adverse impact on oral health, it’s a key priority to ensure that members of the dental team engage with tobacco users, advise them that their local stop smoking services offer the best chance of stopping, and provide a referral to those services. VBA only takes 30 seconds and research confirms increases a smoker’s chances of quitting! ‘Delivering better oral health’ an evidence based toolkit for prevention contains all the evidence-based advice and support to help patients to stop smoking effectively from Smokefree and Smiling, as well as evidence on all aspects of helping patients maintain good oral health. Health Matters is a resource for professionals which brings together the latest data and evidence, makes the case for effective public health interventions and highlights tools and resources that can facilitate local or national action. Visit the Health Matters area of GOV.UK or sign up to receive the latest updates through our e-bulletin. If you found this blog helpful, please view other Health Matters blogs.